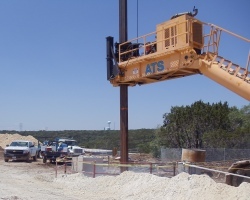 ATS Drilling has the resources and expertise to complete a wide range of projects. 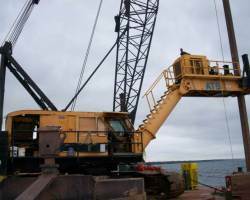 We maintain a large and modern equipment fleet that includes rare and specialized equipment. 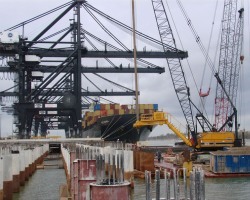 We pride ourselves on our ability to successfully accomplish even the most difficult projects. Below is a sampling of our services. 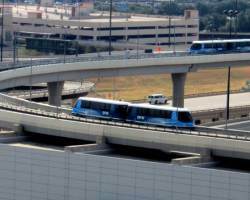 Please contact us if you have any questions about our services, capabilities or expertise. We own a large fleet of barges and push boats and have a great deal of experience with projects on water, including lakes, rivers and on the ocean. We own a large fleet of barges and push boats and have a great deal of experience with projects on water, including lakes, rivers and on the ocean. 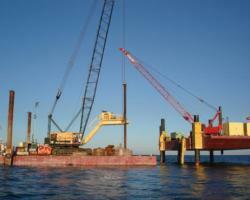 Below is a listing of water projects that we've completed recently. 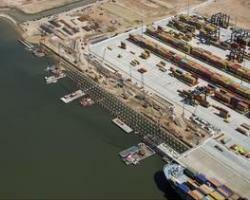 Please contact us for more information about our extensive marine project capabilities. We have drilling capabilities in materials up to 40,000 PSI. We have an array of tools that can drill up to 15 feet in diameter. 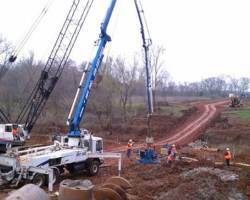 Deep soil mixing improves the strength of weak soils by mixing them with cementitious binder. Please contact us for more information. Deep soil mixing (DSM) improves the strength and stability characteristics of weak soils by mixing them with cementitious binder. Typically DSM columns are installed as single columns or in overlapping wall or block formations. DSM columns are normally installed in soft soils where settlement must be reduced and stability increased. Several techniques and types of equipment exist for mixing the soil and the binder. 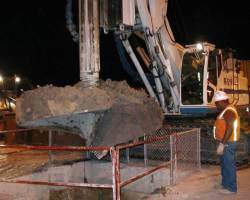 Selection of the appropriate technique depends on several factors, including the geotechnical constraints, the characteristics of the soil, and the desired end result. We have worked on the development of new techniques that have several advantages over the conventionally used methods. If you would like to know more about deep soil mixing or our capabilities, please contact us. Casing rotators and oscillators allow the installation of casing without the use of vibration. If you would like to know more about these methods or our capabilities please contact us. Casing rotators and oscillators allow the installation of casing without the use of vibration. Oscillator or rotator casing installation provides predictable performance under various subsoil conditions. The continuous cutting and full 360 degree turning of the casing rotator allows for high boring speeds and the capability of achieving much tighter tolerances than other methods. In addition rotators are capable of applying very high push down and lifting forces to the casing. The first section of casing can be fitted with hardened cutters which can be changed to meet the requirements of the soil conditions for coring through rock layers. If you would like to know more about these methods or our capabilities please contact us. 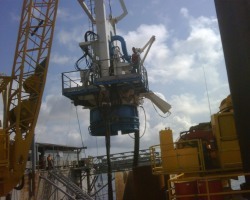 We have equipment capable of drilling in excess of 330 feet deep and up to 15 feet in diameter. 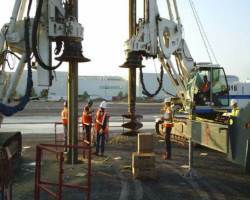 We have equipment capable of drilling in excess of 300 feet deep and up to 15 feet in diameter. 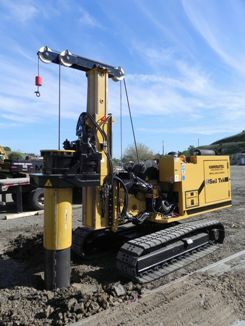 We own RCD drill rigs that are designed to make it possible to drill much deeper than conventional drill rigs. We have experience with very large shafts including a 15 foot diameter shaft on the Jollyville Transmission Tunnel project and a 13 foot diameter shaft on the Kansas River Water Intake Shafts project. Our smallest rig can drill with 14 feet of overhead clearance, and can be lifted with a crane into hard to reach areas. Our smallest rig can drill down 40 feet with 10 feet of overhead clearance and 67 ft with 14 ft of overhead clearance, and can be lifted with a crane into hard to reach areas. 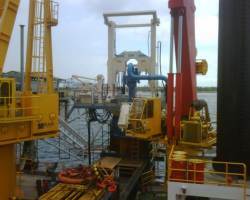 In addition we have other rigs with low clearance capabilities. We have capability in slurry displacement which is used for drilled shaft construction in projects with unstable soil conditions. We have the resources to meet the most stringent of schedules. We have the resources to meet the most stringent of schedules. If your project has early completion incentives talk to us about how we can help. 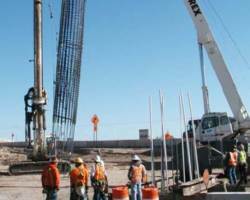 We are committed to providing sufficient resources to meet any project schedule, and utilizing our team’s expertise, we are able to evaluate projects on a continual basis to maximize production. 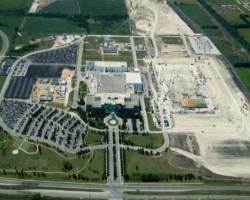 We set our goals high and have a history of meeting or exceeding aggressive production schedules. 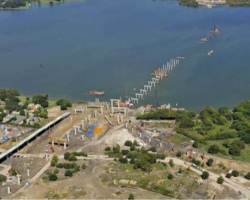 While the schedule is important on every project, below are a few of examples of projects where exceeding the scheduling was particularly critical to the overall project's success. 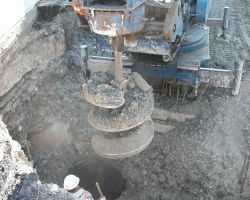 Drilled 120" diameter shafts to be used as a raw water intake. 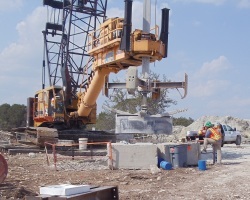 Drilled a 15' diameter shaft 203" deep in solid limestone. 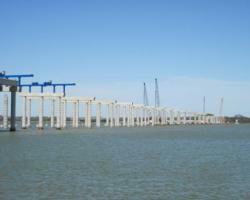 Completed in 30 days in Summer 2012.